From 13th until 30th July we are running a fantastic SUMMER SALE on The London Intl Ska Festival merchandise. Prices start at just £5 for t-shirts. Books, Hoodies, shirts… everything is half price or less!!! 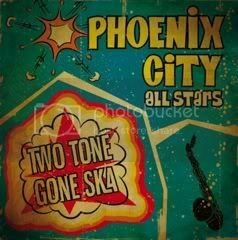 While you’re there check out the brand new albums from The Dualers, Buster Shuffle, The Caroloregians and the hot new album from Phoenix City All-stars. Also currently instock at the www.londoninternationalskafestival.co.uk/shop brand new albums from The Dualers, Caroloregians and Buster Shuffle, plus a sale on all LISF stock. See below.